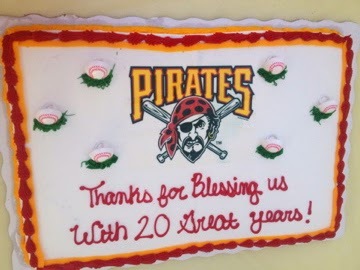 This week my Dad celebrated his 20 year Anniversary as the Pastor of the church here in Vero Beach. It's crazy that 20 years have passed but throughout our time here I have watched my Dad selflessly live a life of generosity, integrity, and living out the word that he preaches about each Sunday. I could go on and on about my Dad's heart and his true desire to be a shepherd and lead as the Lord guides him. It was an incredible celebration with a slideshow, a video, and various people speaking and sharing what He has meant to them. My mom and I were recognized as well and we truly felt loved this past Sunday. 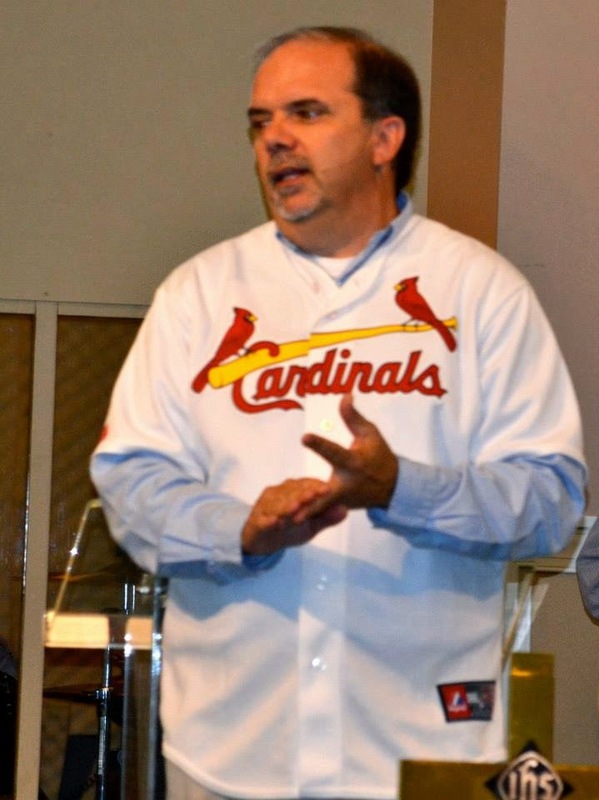 I can honestly say though, the part I feel most grateful for in celebrating this milestone, is that my Dad truly is everything he says he is and because of this, I have not had a tainted view of the church and what it means to be a Christ follower. He was so surprised by his gift! 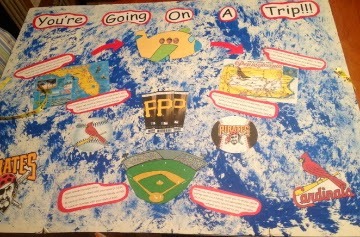 He is going to be leaving in May to go spend a week in Pennsylvania with his Dad (this is where he grew up), and the big surprise was that he is going to get to go to 3 Pirates baseball games this week! For a man who grew up loving baseball and the pirates, this was a perfect gift. My mom, Andrew, and myself will be joining him at the end of the week for a few days to catch a game, spend time with the family, and enjoy our time together. I'm so thankful for all the church did to celebrate my dad this day. He never does it to get credit, but I'm so glad he was appreciated like he was Sunday. Thank you to our church family for loving us, embracing us, encouraging us, and for allowing us to be nothing but ourselves the past 20 years. I am blessed to have the support, love, and prayers of so many people who have been very influential in my life and my walk with the Lord. Truly an amazing day with our huge family. We are so blessed to have such a Godly man in our lives and a church family that is beyond amazing. Unbelievably blessed.